Did you know there were over 50,000 businesses registered in West Palm Beach? These businesses require IT support services. At Connections for Business, we've been serving small and medium businesses in the West Palm Beach area since 1977. We help companies of all types plan their IT systems, get them up and running and maintaining them securely in an increasingly complex IT environment. From telephone systems to cloud technology, we've got the experience, professional skills, and up-to-date perspective to help you stay ahead of the ever-changing IT world. Information technology has certainly changed since the seventies! We've kept pace and worked hard to excel at what we do, and the customer satisfaction and reputation our service enjoys have made it worthwhile ( read our reviews ). From the growth of downtown, Phillips Point and Clematis Street to the expansion west along Okeechobee Blvd., We've seen the impressive expansion throughout the West Palm Beach area and have helped professional organizations in multiple fields not only get their IT up and running, but update their software, manage their networks and system backups and secure their operations against the latest cybercrime, phishing, malware and other issues. This means we've become quite familiar with the IT infrastructure needs of businesses along the Okeechobee Blvd corridor. We've assisted legal services located at the West Palm Beach as well as the courthouse as they maintain cybersecurity for their sensitive data. 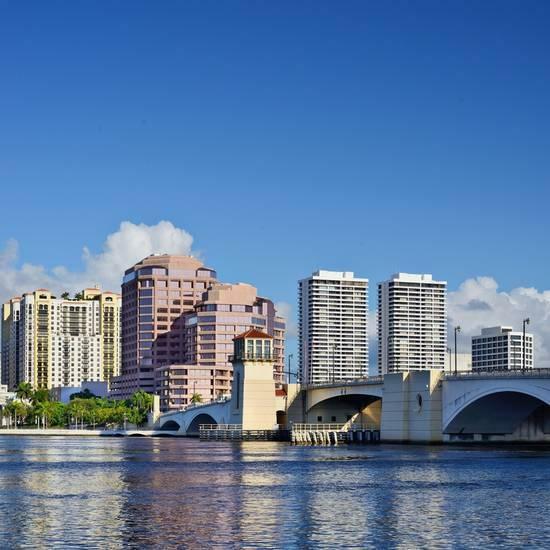 Our IT services have made the difference for clients in the financial services industry in Downtown West Palm Beach office towers like Esperante and One Clear Lake Plaza. We've been here a long time, built our own business, know the IT environment as it stands today- and we stay ahead of the changes as they come. If you are business owner who could use a trusted partner to assist you with technology decisions, visit our well renowned IT blog to get to know us better. 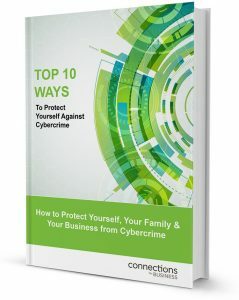 CEO David Bennett is a well known expert on security and other IT matters and will be glad to share his expertise with you as well. Business in the West Palm / Palm Beach area is booming. Leverage your business and secure your revenue with our Connections For Business Managed IT services. Cut the downtimes that result from outdated IT systems, security issues, slow internet speeds, unproductive management of devices, and more. Let us manage your systems so you can get back to work. Contact us today.